Herbs and spices play an important role in cooking. They can make the difference between a totally blah recipe and one that knocks your socks off! 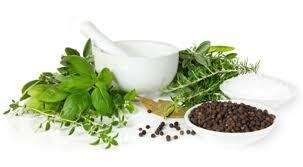 Almost every culture has a distinctive blend of herbs and/or spices that they often use in their food. I love that herbs and spices can frequently be the telltale sign of the region from where the dish originates from. There are some people that believe you should only use fresh herbs in your cooking. I disagree in that there are many herbs that have a really nice flavor dried. Dried herbs also have a much longer shelf life than fresh. I would not advise switching out fresh herbs for dry in a recipe unless you adjust the measurements. Most of the time dried herbs have a more concentrated flavor than fresh herbs. I have a friend who was once making tomato soup. The recipe called for a quarter cup of fresh basil. She did not have fresh basil in the house and instead used a quarter cup of dried basil. It was so bad she had to throw the whole pot of soup away! Sometimes dried herbs mimic the flavor of the fresh herb closely. A great example is rosemary – dried rosemary tastes almost identical to fresh. On the other hand there are herbs that taste nothing like their fresh form. A prime example of that is basil whose taste dried is nothing like the fresh herb in my opinion. For easy, fast and flavorful cooking I think it is important to have a well-stocked pantry with dried herbs and spices. Unless you use a herb or spice often do not invest in a large jar of it. Buy a small or medium size as the shelf life is not indefinite, and most recipes call for small amounts. It is a good idea to clean out your spice cabinet every six months to a year to ensure that your spices and dried herbs stay flavorful. 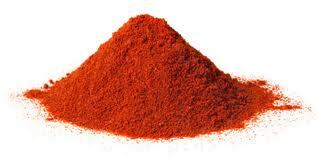 Paprika – This spice is made from ground bell peppers or chili peppers. It is normally a deep red color and can range from mild to hot and from sweet to smoky. It can be found as a key ingredient in many Eastern European and Spanish recipes. I often use paprika in spice rubs for poultry or fish. I love the color it adds and the peppery taste. Cumin – Ground cumin is derived from cumin seeds. I use both in my recipes. 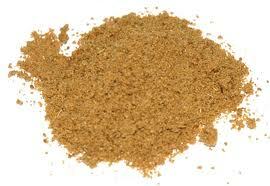 I use ground cumin in my Tex Mex cooking and very often in Indian/Iraqi foods for spice rubs and in soups and sauces. Ground cumin has a dry smoky flavor, while the seeds are more mild. I mostly use the seeds in Indian or Iraqi dishes. 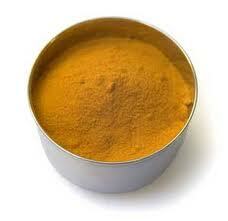 Tumeric – You will often see this spice used in Indian and Middle Eastern dishes. It has been known to have anti-bacterial properties and has been investigated for possible benefits for people with dementia and arthritis. It is bright yellow in color and I caution anyone who uses it to be careful as it stains! Tumeric can have an almost chaulky taste before it is cooked. I always put it in early in a recipe so that it has time to cook. It adds a richness and mild spice to the dish. I repetedly use Tumeric in my Indian/Iraqi cookery, but because it is so good for you I will experiment and throw it into other types of food preparations as well. It is an important spice in my chicken soup. Basil – I love fresh basil! It has such a distinct flavor and sweet aroma. 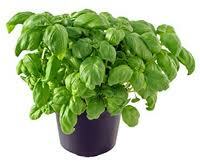 Most people think of basil in Italian cuisine and I am not an exception. I love adding fresh basil to my sauces, making pesto out of it, or pairing it with tomato and mozzarella in a salad or sandwich. It is a great garnish as well. Asian basil is also delicious if you can find it. I think it has a slightly spicy flavor and is used often in Thai and Vietnamese dishes. I mostly use basil in its fresh form. As I mentioned above I do not think that dried basil tastes anything like fresh basil; the fresh is SO much better! Rosemary – is a woody herb with fragrant needle-like leaves. It is native to the Mediterranean region and is also found a lot in Italian cooking (especially Northern Italian). The stems are woody so be sure to just use the leaves. I most often use rosemary with chicken, beef or lamb and in soups, stews and sauces. I also like adding rosemary to potatoes while roasting them in the oven. The taste and smell are heavenly! 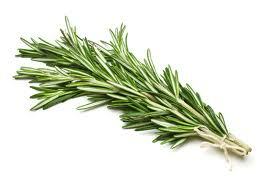 As mentioned above dried rosemary closely resembles fresh to they can be used interchangeable. Just be sure to use about ¼ of the dried as fresh. Thyme – This is one of the most versatile herbs that I know of. Because of that it can be found in a wide variety of cuisines ranging from Spanish to Middle Eastern to Italian foods. 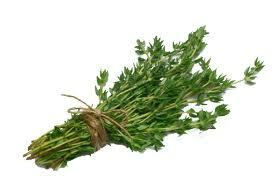 I regularly use thyme with beef, fish and poultry either in marinades or spice rubs. It is also a key ingredient in many of my soups or sauces. Dried thyme does not closely resemble fresh thyme, but also has a nice flavor. The stems are woody and should not be used. 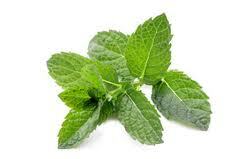 Mint – There is something so refreshing about mint. Just the smell has been known to increase alertness and energy as well as relieve stress. I believe it! It has a very distinctive flavor and is the highlight to my lamb kababs recipe. It is so versatile it can be found in Mediterranean, Middle Eastern, Asian and Indian cuisines. I most often use mint with lamb, in pesto and sauces as well as salads. The dried version does resemble the fresh version, but I believe the fresh to be much more preferable. 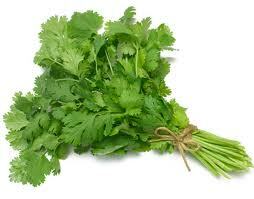 Cilantro – also known as coriander. This is a fresh herb whose seeds can also be ground into a dried spice. The fresh leaves, dried seeds and ground powder are often used in Tex Mex, Indian and Middle Eastern cookery. It is a staple ingredient of most guacamole recipes, including my own. The fresh stems are very tender and can also be used. This is a trick I learned from my dad who puts the stems as well as the leaves into soups and curries. It has a fresh and distinctive flavor and I love it! 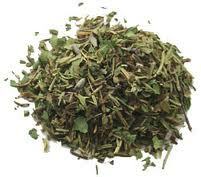 Herbs de Provence – This is actually a blend of dried herbs typical to the Provence region of France. It traditionally contains savory, fennel, basil, thyme, and lavender. This is the only herb blend that I buy pre-mixed as I prefer to make my own blends if possible. The specific proportions of the herbs will depend on the brand you purchase. I have found some to be better than others so you may have to experiment to find the perfect one for you. I will use herbs de Provence in spice rubs on fish, poultry and beef. This is by no means an exhaustive list of all the spices and herbs that I use. It is just a sample of the ones that I find most interesting and use the most. Please share what your favorites are! I agree with you I spices make an ordinary dish spectacular. I usually like to mix my own spices too, but one blend I love and try never to be without is Simply Organic’s Italian Seasoning Blend. It contains oregano, marjoram, thyme, rosemary, basil, and sage. I like adding it to olive oil and lemon juice, its make a great no fuss salad dressing or if I am not in the mood for tomato sauce, it added tons of flavor to pasta. Besides adding flavor, fresh and dried spices, add so much atheistic appeal. There is a saying presentation is everything, while I don’t agree with that completely, presentation is important and spices make it easy to make food pretty. I throw a sprig of parsley or cilantro on top of everything! Lisa – I agree! Herbs and spices make a lovely garnish. You do eat with your eyes first sp I am always trying to make whatever I am serving LOOK as good as it tastes. I am definitely going to have to try the Italian seasoning blend. It sounds delicious! We bought a jar of cumin to make chili. What else can we use it for? Bill – Cumin is actually in my most recent posting for Quinoa with black beans. If you do not like beans you can just leave them out. I use it most in soups, stews, curries and marinades. I like to use cumin when making Mexican, Indian or Middle Eastern dishes. For a quick and easy marinade for beef, chicken or lamb you can use a little red wine vinegar, cumin, fresh garlic and olive oil, salt and pepper. Then grill your meat either in a grill pan or an outdoor grill. It is delicious!